The Mackay Family, after travelling from Reading, England, are on holiday on the Isle of Bute. the holiday was exciting, but dangerous. But this holiday was not what the family expected! 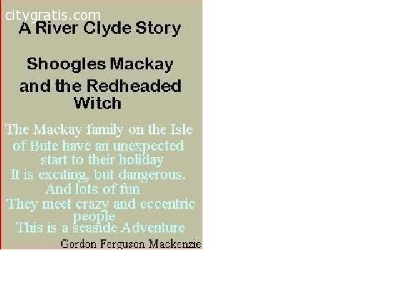 Uncle Shoogles Mackay, and the Redheaded Witch, made sure of that – with a little help from two local boys? This is a Scottish seaside story. El anuncio expira en: -1068 días.